There is so much to see when you enter the gorgeous showroom at Factory Carpet Outlet’s store in Mill Hall. Over 20 years in business, we are enjoying our own building and presenting the flooring showroom we always dreamed of. 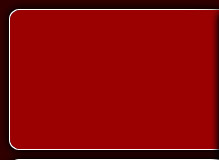 Factory Carpet Outlet is a Mohawk Color Center, providing our customers with quality products, extended warranties, and products not available anywhere else. Mohawk Color Center’s reputation for quality and affordability is what prompted Factory Carpet Outlet to join the Color Center organization. Mohawk is the strongest company in the floor covering industry. Through Mohawk Color Center, and its aligned dealers, Factory Carpet Outlet is able to offer all the products to complete your project, including ceramic tile, vinyl, laminate, wood and carpet. Mohawk’s Smart Strand, a “green product”, has the best stain warranty in the industry. Don’t worry about spots or stains, even the toughest stains like coffee, tea, and popsicles clean up with water. Grease, pet stains and even nail polish can be removed. Factory Carpet Outlet also operates a professional carpet cleaning company (Cyclone Cleaners) but more about Cyclone Cleaners later. 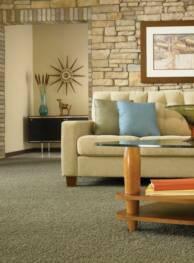 In addition to Mohawk Carpet, they display carpet by Shaw Industries , Beaulieu Residential, and Bliss. Floral print carpets in wool for your elegant room, stairs or hall are also available. If you are in the market for vinyl, Factory Carpet Outlet displays Congoleum, Tarkett, Mannington, FlexTech, Karndean, and Konecto. Konecto is a free-floating vinyl floor that requires no underlayment or new sub-floor under it, and therefore, makes installation less expensive and much easier, especially if being done by the homeowner. Laminate floors can now capture the look of slate, tile, ceramic, or wood, and with so many types, patterns, and textures available to the consumer, we have full displays of Alloc, Mannington, Quick Step, Mohawk, Shaw, and Pergo. 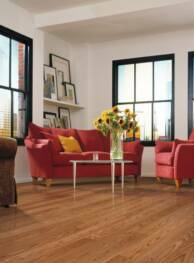 We also carry cork flooring, one of the most unique choices for your floor. Cork is sound-deadening, and gives a totally different look to your home. It is available in 24 colors and is manufactured from a renewable resourse. If you are in the market for ceramic tile, we display such well-known names as Mohawk, Laufen, U.S. Ceramic, and Florida Tile. These manufacturers offer ceramic tile, porcelain and marble flooring for the discerning customer. Factory Carpet Outlet can help design custom walk-in showers, kitchen countertops, back splashes, and floors. Five years ago, Factory Carpet Outlet saw the need for a local certified carpet cleaning company. Jim explained that with all of his and Tim’s floor covering experience, they decided no one could better address their customers’ carpet, upholstery and tile cleaning needs. We expanded our business with a sister company named Cyclone Cleaners. Tim schedules appointments and Jim manages Cyclone Cleaners with the newest technology in cleaning equipment. You get Cleaner, Healthier carpet and upholstery with a 1 hour or less drying time. We also clean ceramic tile,seal grout and do odor removal Cyclone specializes in residential and commercial cleaning, using “green” products that are child, customer and pet friendly. We bring our own clean hot water (heated by the truck) to each job and take away all used water. There is no need to use the customer’s water or drain. Call us to ask how our process differs from the competition. Estimates are free. At Factory Carpet Outlet and Cyclone Cleaners, we pride ourselves in being a family owned and operated business. We are dedicated professionals that can handle your project from start to finish and provide the manufacturer’s recommended cleaning to uphold your warranties. If you are thinking about new flooring for your home, give Tim a call at Factory Carpet Outlet’s showroom 570-726-6200 or toll free at 1-866-726-6208, or better yet stop in to see him. If your existing carpet, tile or upholstery needs to be rejuvenated, Tim can give you a free estimate and set up an appointment with Cyclone Cleaners. We are the one-stop flooring store that can take care of all of your flooring needs. We truly are Your Complete Hometown Flooring Store!